I know people lead very hectic lifestyles these days, and believe me, I can relate. Work, training, meetings, appointments, chores, errands, modeling, fitness and bodybuilding events, writing, shooting videos, and managing websites and social media keep me going at a frenetic pace every day. Yet I make sure I have a few minutes to prepare a nutritious morning meal every single day. I become very irritated when I hear patients and clients say that they have ZERO time to prepare a nutritious breakfast. Are you serious about not having even five minutes in the morning to take care of your own health? Come on. Patients often proudly tell me that they are eating oatmeal every day, but when I ask them what type, they tell me they grab the instant variety. This irritates me to no end. You still have to put the oatmeal in a bowl, boil the water which takes about three minutes, then mix. When I make my old-fashioned oats, I combine them in a saucepan with water and a dash of cinnamon, then let the mixture cook for three minutes. So what if I take an extra 30 seconds to transfer the cooked oatmeal into a bowl? Another thing I think is disgusting about instant oats is that the oat and water mixture often does not mix well, so you have a gloppy, soupy mixture which has to set for at least a minute so that it will thicken. Halfway through that extra minute in which you are waiting for your instant oatmeal to thicken, I am already eating my old-fashioned oatmeal. 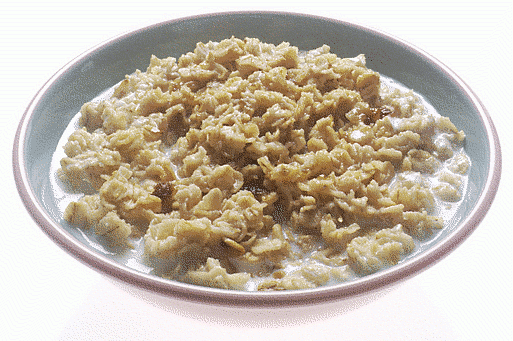 You may wonder what the big deal is about eating the plain oats versus the instant variety. There are artificial flavors, thickening agents, sugar, and salt in the instant packs which lowers the nutrient density of the oatmeal. In addition, since there is so much processing which occurs in the manufacture of the instant variety of this food item, vitamins and minerals are added to replace what has been stripped from the original oats. Why go through all this when you can choose the least processed version which is the most nutritious? If you insist on eating instant oatmeal, at least go for the healthier versions. The best out there is Trader Joe’s Organic Oats and Flax Instant Oatmeal, which contains: organic rolled oats, organic dehydrated cane juice solids, organic flax seed, sea salt. No, You Can’t Borrow My Shoes! I have two of these cabinets, filled with boxes of shoes. I have photos of each pair of shoes affixed to the sides of each box for easy identification. At last count I had 70-something pairs of shoes which to some women isn’t a lot. Believe it or not I actually do wear almost every pair of shoes I own! Most women cannot borrow my shoes because I usually wear a 6-1/2 US which is a pretty small shoe size. I swear I am not a shoe addict! With all the brands, types and styles of athletic shoes that exist these days, it may be challenging to figure out which ones to buy. 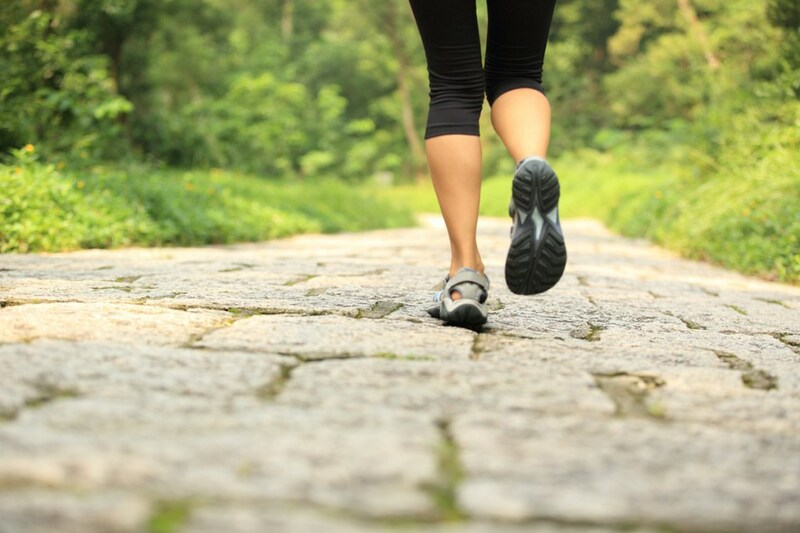 As a response to the questions I get about this, I have compiled a list of tips to help you navigate through the choices out there and select footwear that is ideal for the type of activity you plan to engage in. Select shoes appropriate for your feet. Most of us know whether we have narrow, medium width or wide feet, but do you know what type of arch you have? A good way to assess this is to do what is called a “wet test”. To do this, you will need a piece of brown paper like the type that is used for brown paper grocery bags. Wet the bottom of your foot, step onto the paper (make sure to put your full weight on that foot) and trace your footprint. If you have a print with little to no curve on the inside edge, you have flat feet and your feet tend to roll inward (overpronation). This type of foot needs a shoe which gives good support to prevent movement. If your footprint shows a large empty space in the inside edge and there is a narrow connection between your heel and forefoot, you have high arches and tend to turn outwards (supination). This type of foot needs a soft and cushioned midsole. If your footprint is somewhere in-between, you have a neutral arch and should choose a shoe with a mix of support and cushioning. If you wear an orthotic, bring it. You should also bring the socks that you usually wear when engaging in whatever activity you are buying the shoes for. I have heard of people who have made the mistake of fitting shoes to their feet when wearing socks that are either thicker or thinner than what they are accustomed to wearing, which results either in the hassle of making an exchange or return or the pain of wearing ill-fitting shoes. Shop later in the day. During the course of the day, feet will expand, which means they will be their largest towards the evening. When determining the fit of a shoe, it is important to take this into consideration and fit to your feet when they are their largest to avoid disfomfort. Make sure shoes are comfortable and enable the movements your sport requires. While athletic shoes should be comfortable while standing in them, it is also a good idea to engage in jumping, lateral movements or whatever foot motions mimic the types of movements you will do while wearing the shoes. Take note of any shifting or discomfort. Buy a pair of shoes that fit well. There should be about ½ inch between the front of your big toe and the end of the shoe. A quick guide which you can use is your thumb. When you lift off with your heel, the shoe should not slip off the heel at all. You should be able to wiggle your toes while wearing the shoes, but the shoe should also feel secure around your foot. Don’t go cheap! I see a lot of people grab athletic shoes that are on clearance which aren’t the best fitting or the best constructed shoes for them. This is not to say that you can’t find a decent pair of athletic shoes on sale, but try not to head straight for the bargain bin when you are searching for shoes. Your main objective should be to find a well-constructed pair of shoes which fits your foot well and is designed for the activity you will use them for. Replace shoes before they completely fall apart. I always find it amusing when I see guys at the gym wearing shoes that are tattered. I wish I could just ask them, “If you care about your conditioning so much, why do you neglect your feet which are bearing all the weight and pressure you put on them during your routine?” Most people can expect to replace their shoes every six months, or until they begin to notice that the shoe feels less supportive or develops areas which are uncomfortable. Another gauge is to check the back of the sole frequently and to replace the shoes once that area begins to appear worn out. Buy shoes which are task-specific and expect to have multiple pairs. Not all shoes are created alike. 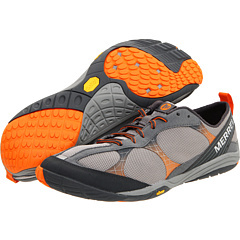 A cross-training shoe is designed for midfoot support and has tread which enables lateral movements. A walking shoe, in contrast, is rather rigid and is designed to minimize foot movement. Running shoes are quite flexible but are also built with extra cushioning to absorb the high impact of the foot-strike on the pavement. If you exercise frequently, purchase several pairs. If you get in the habit of rotating through your shoes, you will allow your shoes to air out between uses and will also extend the wearability of your shoes since you will be alternating through your collection. I currently have eight pairs of athletic shoes in rotation and make sure to wear the type of shoe which is appropriate for the activity I plan to do on a particular day. For example, I wear my running shoes when I plan to do high intensity intervals on the treadmill, and I have other shoes designated as my plyometrics shoes, my leg day shoes and my general lifting shoes.